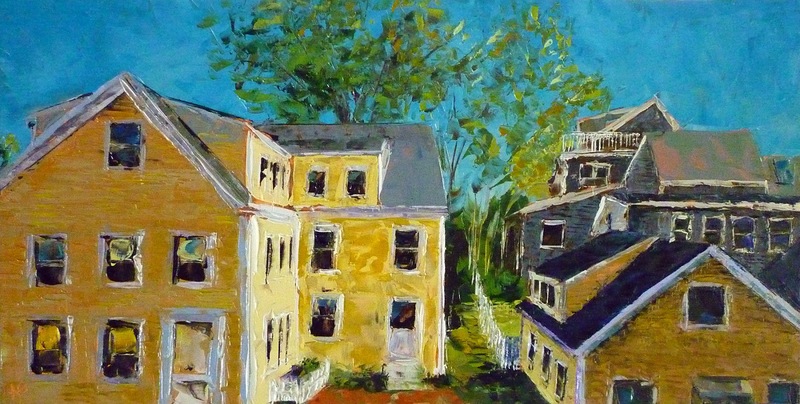 This is the view outside my friend, Terry's place in Provincetown. I loved how you can look out windows while you are drinking your coffee and wonder if your neighbors are doing the same. I sure am not ready for summer to end-it is definitely my favorite season. 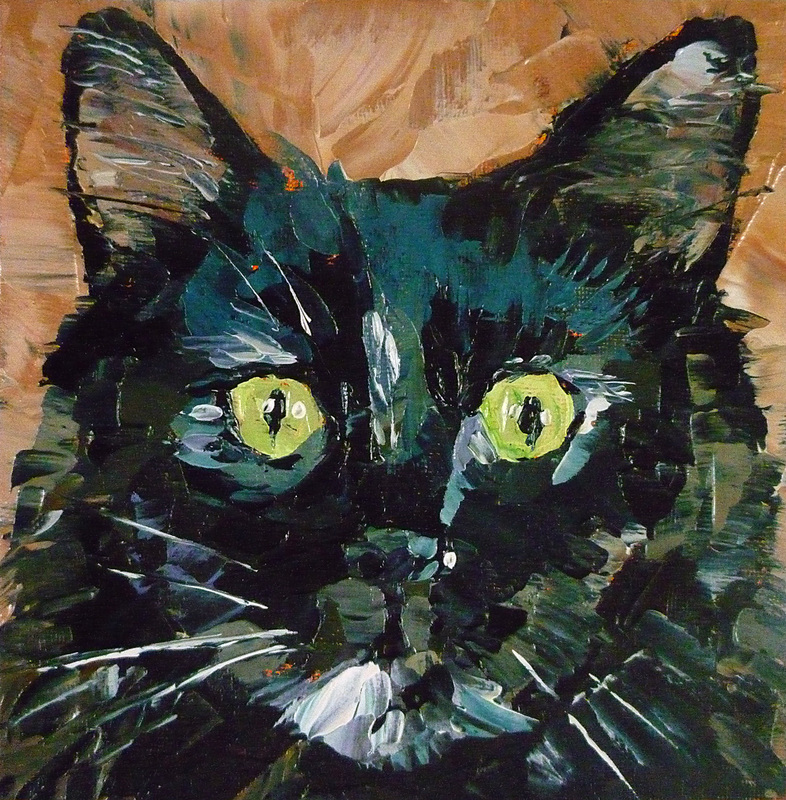 Get ready for a parade of palette knife cats. This is the first in a series of 15 commission pet portraits. That's right, 15 pet portraits that need to be done in time for Christmas to be given as gifts. I'm so glad she started early and she sent me great photos to work with. This will be so much fun! 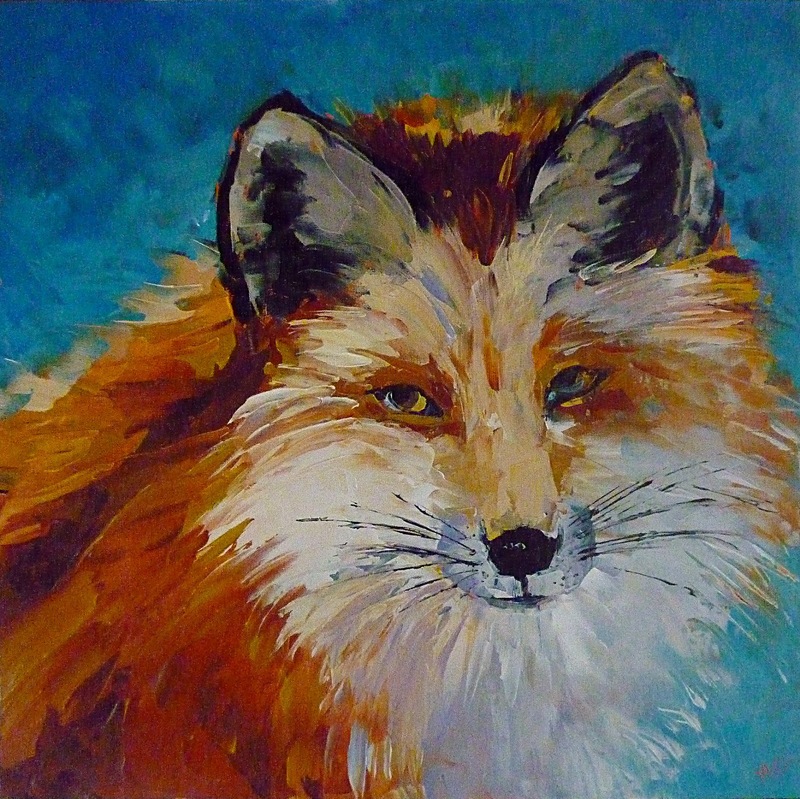 Another fun animal to paint with the palette knife. I will be entering this and the Alpaca into an upcoming juried show called "Untamed" for Mass Audobon's Moose Hill Society. Wish me luck. I loved this face so much I had to paint it. 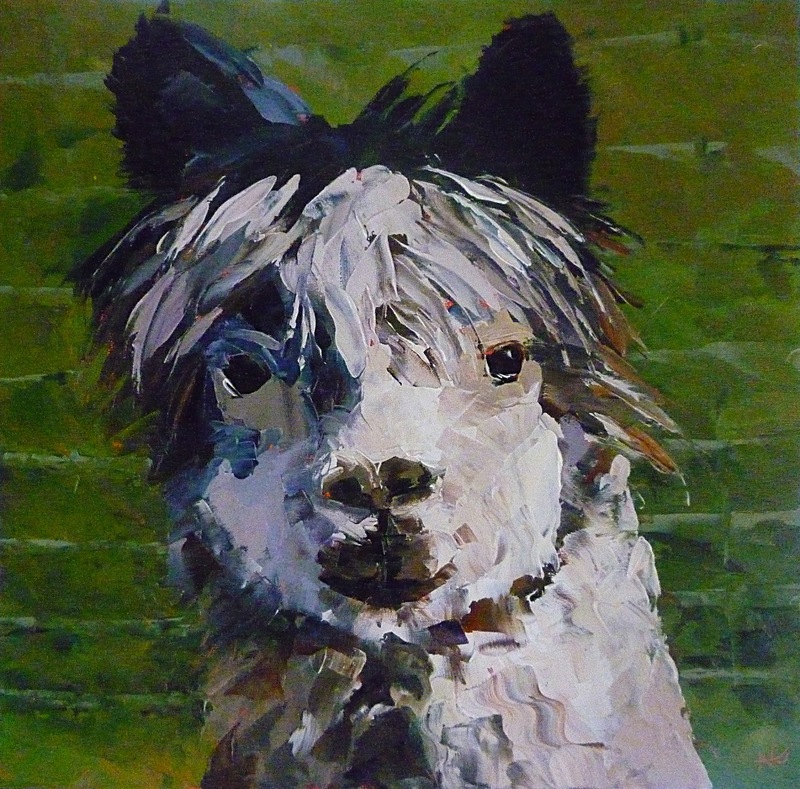 And the hairdo-what fun to paint with a palette knife! This painting is in need of a good name. Send me your suggestions if you have any good ideas. I want to include Alpaca in the title somehow since some people might think i'ts a llama. And Llama Mama would be a good title if that were the case. I might just keep changing the title until I find one that fits. 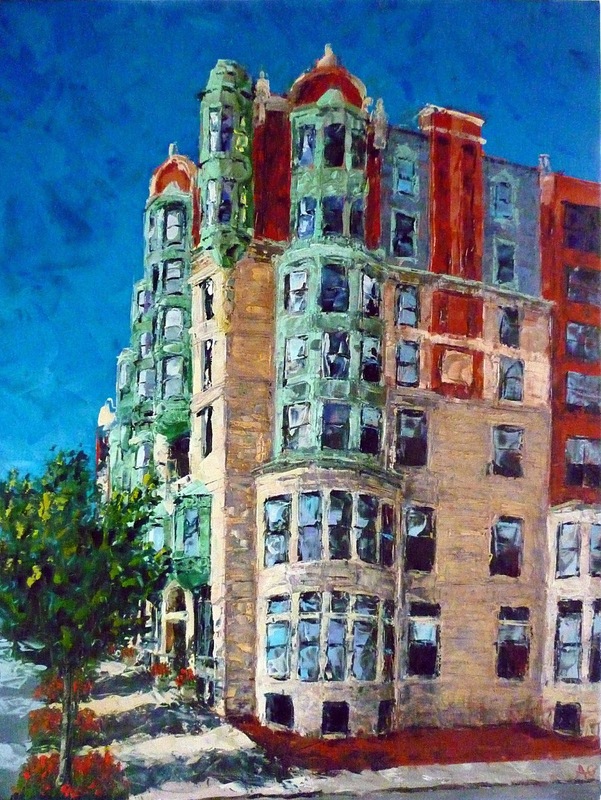 This painting of a unique building in Boston was a commission from a woman who was lucky enough to have lived here while she was attending college. Nice, huh? 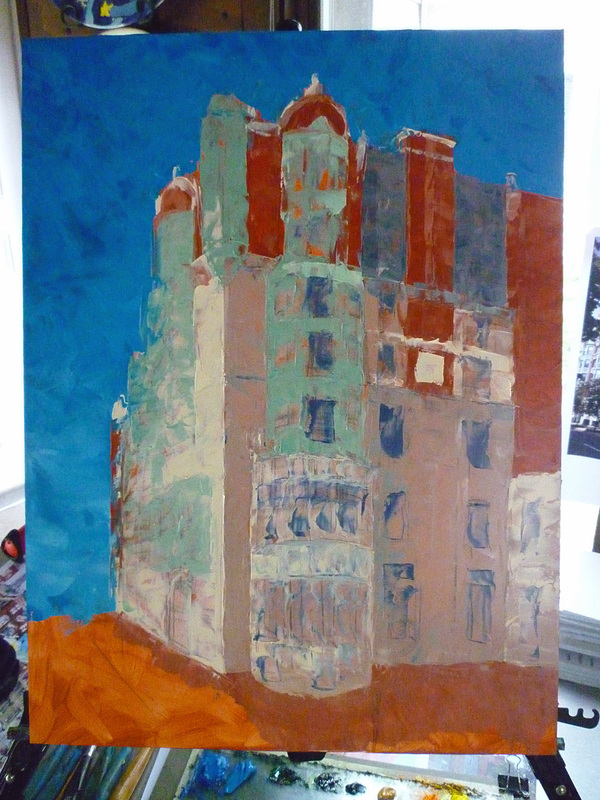 I have to admit I have never seen this building before so when she asked me to paint it, I took a walk down there to check it out for myself in person. It is incredible! The architecture so unique and the location can't be beat. 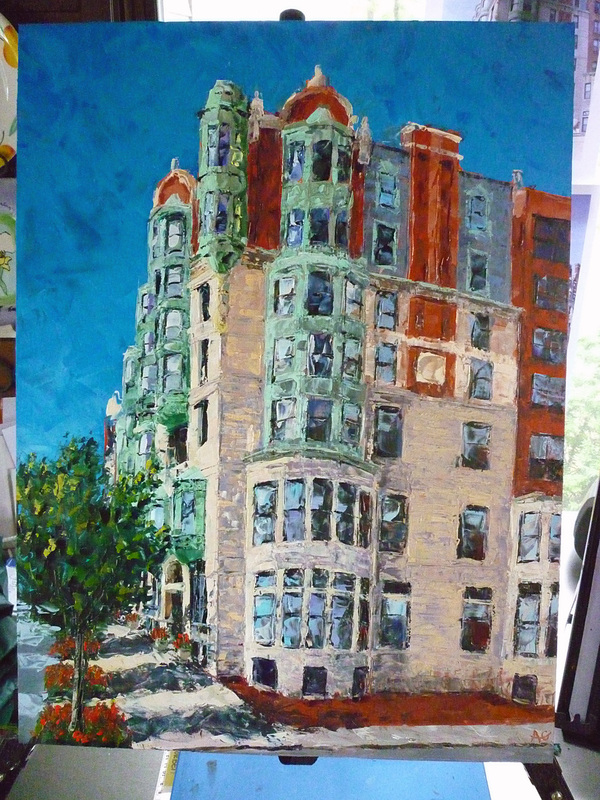 It's near the Charles River, Fenway Park and Kenmore Square. 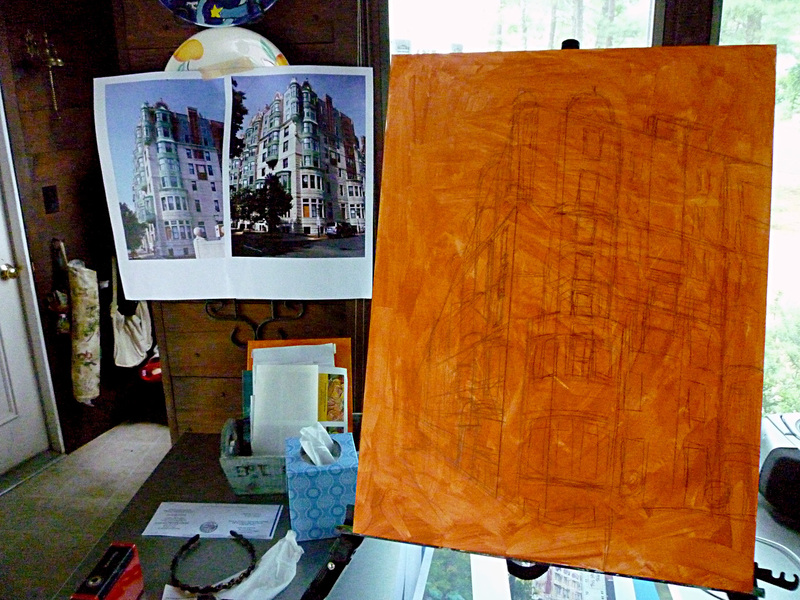 It holds such wonderful memories that she wanted a painting to remember it forever. Can't blame her. 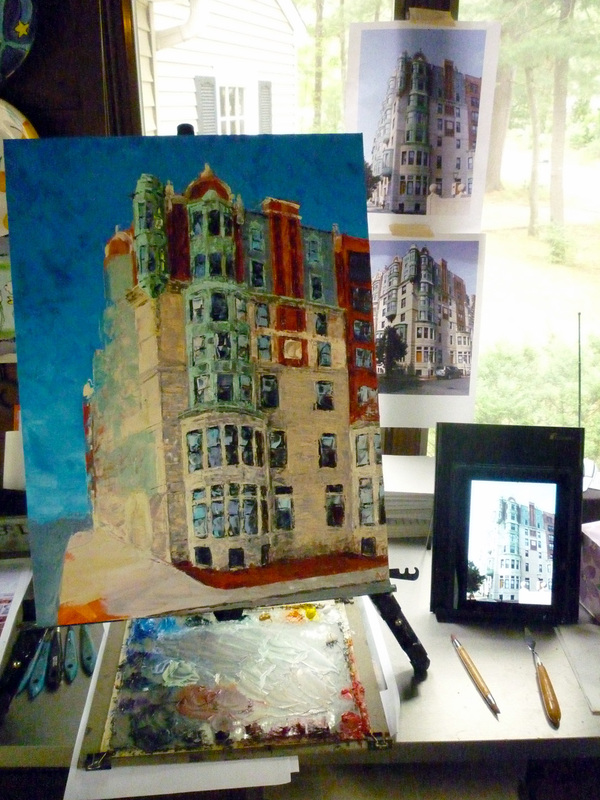 Then finally at stage 4, shown at the top of the page, I glazed a little color on the right side of the building to give some contrast and better feel for the light.